Here for his debut RUN, we are excited to present Camera Verité with an accompanying print of photographer Victor Spinelli‘s print Kissography. Read on as we take a peek inside Camera Verité and talk with Victor Spinelli in the 1xRUN Thru Interview. 1xRUN: Tell us a little about this book Camera Verité, how did the idea come about and how long did it take to put together? 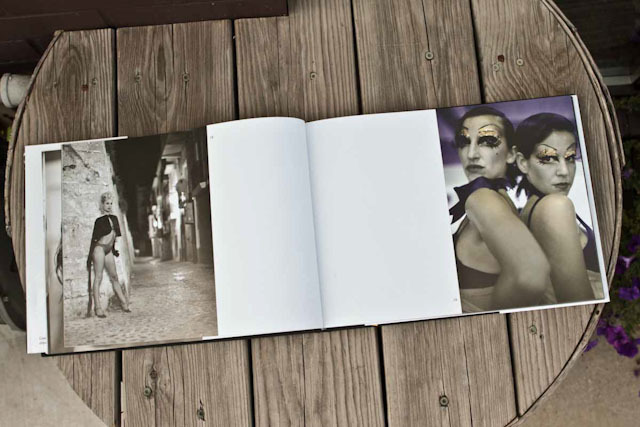 Victor Spinelli: The book was photographed bewteen 2001 and 2007. It was shot entirely on film, about 15 different films to be exact. The design process took about 3 months. I wanted to create a book that encompassed this work in one package. Most of the images were taken in Ibiza, Spain at Manumission, which was a Moulin Rouge style stage show and was deemed “The biggest Party in the World”. 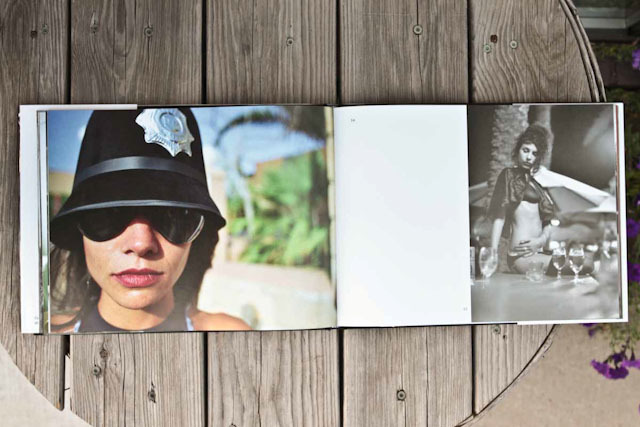 Some other images in the book were taken in Hollywood, Italy and Morocco. 1xRUN: Tell us a bit about the accompanying print that comes with the set? How did the idea and execution for this photo come together? 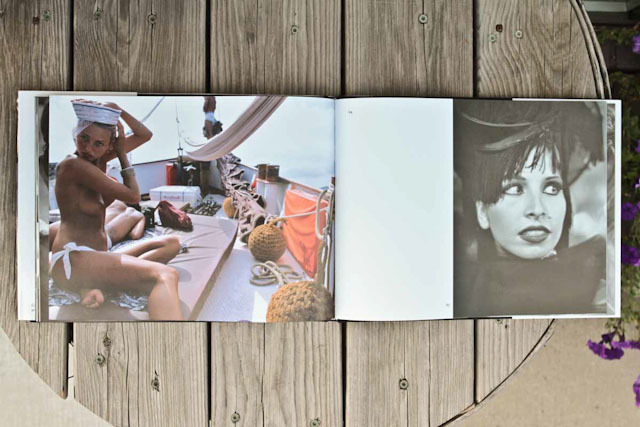 Victor Spinelli: Kissography is an image about love. I took this shot on print film with a macro lens. Many people suggested that I photoshop out the saliva and peach fuzz but I am strongly against this. The image is reality. Life is reality. Once a poster company wanted to license this image from me for worldwide USA distribution but wanted to photoshop the saliva out. I refused. 1xRUN: Your photography ranges from celebrities to Olympians and everything in between, tell us a bit about your various projects? Victor Spinelli: I’m a gun for hire and what ever I am working on, I set my quality and bar very high. It does not matter the subject or event, I try my best. I am always searching for that special angle, light etc. 1xRUN: How long have you been taking photographs? Victor Spinelli: I have been shooting my entire life. I think my first camera was a 110 Kodak and I used to take pictures of all my boy scout trips. Then I bought a proper Nikon in 1990 but I started to really hone my skills while working on a fishing boat in Alaska in 1994. My work started to sell soon afterward and I started to work professionally in 1996. Victor Spinelli: I have been working on a book about New York City. I want it to be released this fall. And I have been designing a book about India. However, I started painting with acrylics about 3 years ago and now my mix media works, acrylic on photocanvas are selling really well. I have a few gallery’s selling this work worldwide. 1xRUN: Where else can people find you across the internette?